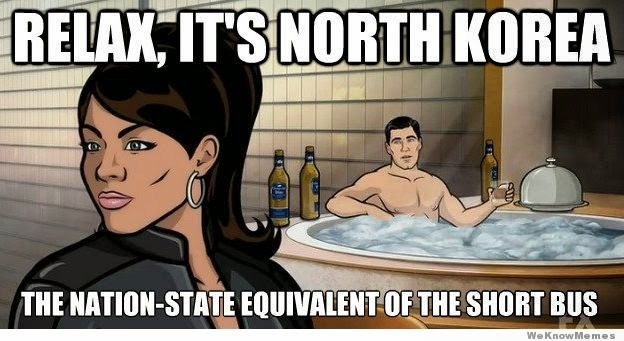 Oh North Korea...a land where SJWs would be in heaven as it's an authoritarian country that was it's own batshit crazy echo chamber long before anyone on tumblr made their own personal padded rooms. I've in the past made it known that I don't like North Korea but like the rest of the world, I simply toned them out to not give them the honor of being heard. My handle online is often "princetrunks" for two main reasons, the first, is that I feel I resemble Trunks from DBZ and I love the character as well as the time travel aspect of his future self. The second, is that I like to make a mockery of so-called "royalty" and those in power. Anyone who know me knows that I am not too keen on so-called "leaders" and will be the first to even question police for their actions and with my knowledge of the current scientific understandings of the universe...I see anyone claiming to be the "leader" or "royalty" to be no different than if I claimed I was the "king of the universe". People stupidly subservient to primitive tribal ideologies like nationalism is shown in it's full extent when you look at North Korea. 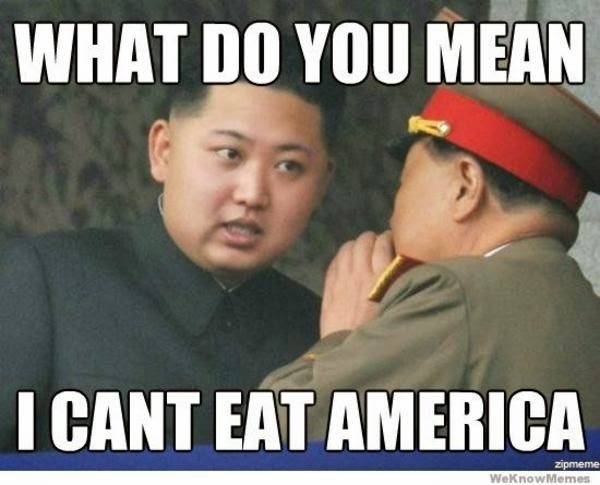 It's pathetic when the ego of any one person gets as high as Kim Jong-Un.. be it a so-called "leader" or celebrity. 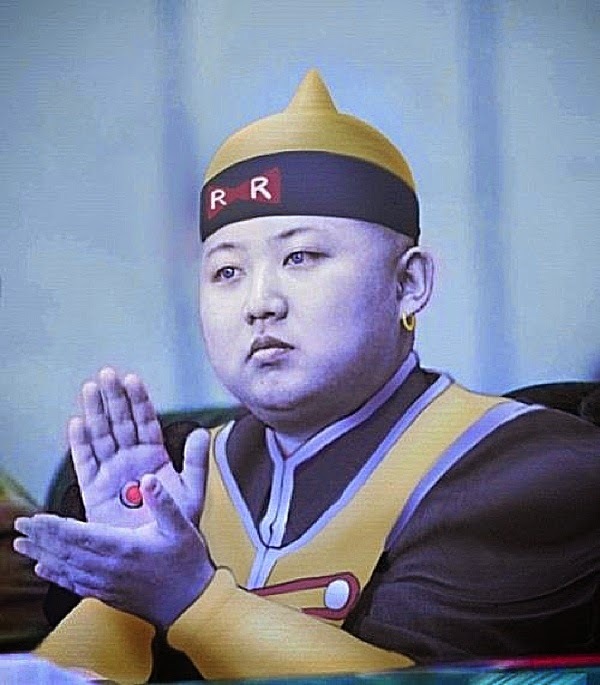 As he gargled under his many chins, the world ignored him... that is, until he hacked Sony and scared them into not bringing out the movie, The Interview recently. My relationship with Sony is rather rocky as I deal with their god-awful pro-camera division during the work day and absolutely loath their SURE MAP pricing policies..yet at the same time I like their PlayStation division. Anyone who work with Sony knows that one hand doesn't speak to the other.. which is probably why NK so easily hacked their systems in the first place.